Michael Salkovitch, D.D.S. and our entire dental team are proud to serve the Solon, Ohio community and we want you to feel at home at our cosmetic and family dentistry office. Dr. Salkovitch has been a member of the Solon community for years and provides his patients with a full complement of general, family, cosmetic, and restorative dentistry options. Dr. Salkovitch has been practicing since 1974 and offers the skills, education, and professional knowledge to provide an unparalleled level of service. Our team offers a wide range of dental procedures - from basic cleanings to cosmetic or restorative dental treatment options. During each patient consultation, our dental professionals create a detailed snapshot of each individual’s oral health by conducting a full exam of the teeth, gums, and jaws - including bite alignment, gum health, and appearance and structure of individual teeth. For us, the goal is simple - create personalized treatment plans for all of our dental patients, enabling them to attain and maintain good oral health. 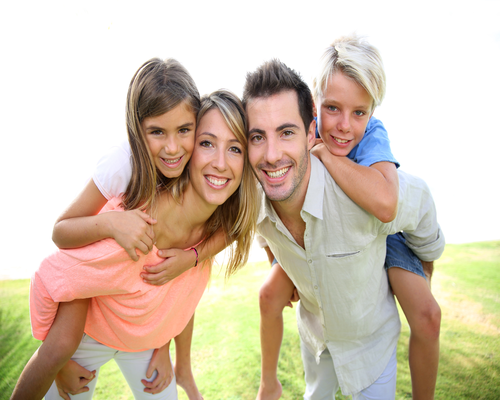 If you’re looking for a family dentist in Solon, make sure to call us at the office of Dr. Salkovitch today. Dr. Salkovitch always starts with a new client by evaluating the patient's oral health needs. That way, we can provide our valued clients with the information they’ll need to make educated decisions about their oral health. Intraoral and extra-oral cameras help us to uncover problem areas in the teeth and gums, and the cameras allow us to show patients firsthand what the health issues may be. Together, we will create a care plan that will deliver a beautiful smile and long-term dental health. Patients are shown a dental education video prior to any procedures to provide additional information regarding treatment options and any related benefits. Our professional dental team uses digital x-ray imaging equipment that emits minimal radiation and provides patients with a safe overall experience. We can also serve patients more quickly due to the sophisticated equipment in our Solon dental office. Digital files are more efficient to store and also quicker and easier to share with our patients or other dental professionals, if necessary. As a family dentist in Solon, our primary goal is to provide compassionate dental care that can give patients and their families a beautiful, healthy smile that will last a lifetime. By using the latest in dental technology, we can create treatment plans that will efficiently and comfortably provide the absolute best dental care for your smile. Contact our Solon Dental Office Today! Dr. Salkovitch and our compassionate team are acutely focused on creating an unmatched patient experience for clients in the Solon, Ohio area. We welcome you and your family to our dental office and invite you to experience our standard of comprehensive care to ensure peak oral health. Feel free to browse our website for more information or don’t hesitate to contact us to set up an appointment. Our office hours are Mondays, Wednesdays, Thursdays, and Fridays from 8:30 am - 5:30 pm. We also provide hours from 8:30 - 2:30 on Tuesdays. Additionally, we do offer services for those who have dental emergencies! We are happy to address any questions or concerns you may have regarding treatment options from our team of dental professionals. Contact us in Solon today and see why we’ve become the premier dental office in Solon.